Table 1. Clinical aspects of eleven haematologic paediatric cancer patients (0–17 years of age) with bacteremia caused by non-diphtherial Corynebacterium species treated at the National Cancer Institute (INCA/ RJ – Brazil) from January 2003 to December 2014. Bloodstream and venous catheter-related corynebacterial infections in paediatric patients with haematological cancer were investigated from January 2003 to December 2014 at the Brazilian National Cancer Institute in Rio de Janeiro, Brazil. We observed that during cancer treatment, invasive corynebacterial infections occurred independent of certain factors, such as age and gender, underlying diseases and neutropenia. These infections were ssscaused by Corynebacterium amycolatum and other non-diphtherial corynebacteria. All cases presented a variable profile of susceptibility to antimicrobial agents, except to vancomycin. Targeted antibiotic therapy may contribute to catheters maintenance and support quality of treatment. Non-diphtherial corynebacteria must be recognized as agents associated with venous access infections. Our data highlight the need for the accurate identification of corynebacteria species, as well as antimicrobial susceptibility testing. 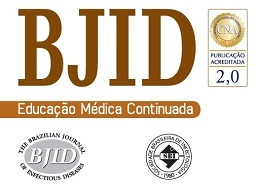 In this retrospective and descriptive study, we analysed the clinical, epidemiological and microbiological features of bloodstream and CVC infections caused by non-diphtherial Corynebacterium species in paediatric patients with haematological malignancies treated at the Brazilian National Cancer Institute (INCA) in Rio de Janeiro, Brazil from January 2003 to December 2014. Patients using CVC with positive blood cultures were considered to be infected when the attending physician evaluated the clinical condition associated with fever as significant and initiated the specific antimicrobial therapy. Patients with at least two positive blood cultures for Corynebacterium species were considered to have corynebacterial bacteraemia.7 Neutropenia was defined as a neutrophil cell count lower than 1000 cells/mm.3 Patients were monitored by the Joint Commission of Infection Control and Surveillance and Nurses Committee, Outpatients Catheter and Bacteriological e-charts. This study was approved by the Research Ethics Committee at INCA, Brazil [CEP No. 139/11/ CAAE-0121.0.007.000-11] and registered in the National Commission on Ethics in Research (CONEP)]. The clinical isolates were analysed by the Laboratory of Microbiology at INCA. Briefly, two sets of blood samples were obtained from peripheral vein access and/or from the catheter when present and inoculated into two vials each of Bactec Plus anaerobic/aerobic. These were then incubated in a Bactec 9240 System (Cockeysville, USA). Positive blood cultures were plated into Columbia blood agar base (Detroit, USA) supplemented with 5% defibrinated sheep blood and incubated for 48 h at 37 °C. Bacterial colonies of irregular Gram-positive rods on agar plates were analysed for morphological features of corynebacterial haemolysis and pigment formation. Phenotypic profiles were determined by using API Coryne System (BioMérieux, Lyon, France). The following conventional biochemical tests and CAMP reaction were performed according to previously described methods.10 Profiles of susceptibility to antimicrobial agents (Oxoid, UK) were determined by automated microdilution tests as previously described.11 The E-test (Solna, Sweden) was also performed for vancomycin. Data were converted into percentages of isolation of corynebacterial species from patients involved in the study. Data for the Chi square or Fisher exact test variables were obtained using Epi-Info version 7. Results were considered significant when p < 0.05. During this study, 1.639 long-term catheters were used in paediatric patients at our Institution. A total of 25.6% of patients, all of them haematological patients, used Hickman’s catheter. Eleven cases of NDCi were identified in this group during treatment (Table 1). Distribution analysis by gender shows that the prevalence of male patients was 63.6%. The median age of patients was 8.0 years old and they presented the following underlying haematological malignancies: Acute Lymphoblastic Leukemia (ALL) (n = 06), non-Hodgkin Lymphoma (NHL) (n = 04) and Acute Myeloid Leukaemia (AML) (n = 01). Most patients were neutropenic: three with ALL (27.3%), three with NHL (27.3%) and one with ALM (9.1%) (Table 1). Clinical aspects of eleven haematologic paediatric cancer patients (0–17 years of age) with bacteremia caused by non-diphtherial Corynebacterium species treated at the National Cancer Institute (INCA/ RJ – Brazil) from January 2003 to December 2014.
y, years-old; m, months-old; NHL, non-Hodgkin lymphoma; ALL, acute lymphoblastic leukemia; ALM, acute lymphoblastic myeloma; MSD, right superior member; MSE, left superior member; SUB D, right subclavian; SUB E, left subclavian. Vanco, vancomycin; Cipro, ciprofloxacin; Cefe, cefepime; Ami, Amikacin; Mero, Meropenem; Line, Linezulid. Data from the Fisher exact tests (95% confidence interval) revealed invasive corynebacterial infections independent of certain factors, such as age and gender (p = 0.73), underlying diseases (p = 0.82) and neutropenia (p = 0.66). We found no association between 30-day mortality and the use of LT-CVC (long-term central venous catheter) (p = 0.87). Cases of CVC infection were mainly due to Corynebacterium amycolatum (n = 7). Two patients presented coagulase-negative Staphylococcus species and/or Streptococcus sp. isolated along with Corynebacterium amycolatum strains from clinical samples. Other Corynebacterium species were isolated as well: C. jeikeium (n = 2), C. afermentans (n = 1), C. urealyticum (n = 1). Cases of bacteraemia due to C. jeikeium were observed in two neutropenic patients (Table 1). C. afermentans infection was diagnosed in a non-neutropenic female teenager. This patient presented a septic thrombosis despite endovenous therapy with vancomycin and ciprofloxacin and the catheter was removed. C. urealyticum was isolated from a non-neutropenic child and the catheter was preserved after venous treatment with amikacin and vancomycin. Most patients had a good clinical response after catheter removal (n = 7) or antimicrobial treatment protocol preserving venous access (n = 4). Infections may increase the incidence of catheter removal in patients with cancer (p = 0.04) (Table 1). C. amycolatum strains demonstrated variable sensitivity to the antimicrobial agents tested and C. jeikeium strains presented a MDR (multidrug resistant) profile. Vancomycin induced a susceptibility of 0.28 mcg/mL (0.13–0.5) in microbiological testing. Vancomycin and linezolid were the only antimicrobial agents with a broad activity against Corynebacterium isolates with 100% susceptibility. Since January 2009, due to the implementation of a new treatment strategy for catheter bloodstream-related infections (CBSRI protocol), catheters were kept in place in most of cases. Recent studies support a new perspective of venous access in oncology. Improvements in all these devices bring better quality of life and benefits to patients. The use of CVCs may increase the risk for corynebacterial bloodstream infection in paediatric oncology patients.1,3 Researchers from St. Jude Children's Hospital, USA, reported 17 cases of infections caused by coryneform bacteria in paediatric patients with cancer (with a median age of 11.2 years old). The most common species isolated were Corynebacterium striatum, C. amycolatum and Microbacterium species. Corynebacteria species were isolated from 5.9% febrile neutropenic children with neoplastic disease.3,12 In other studies, C. amycolatum was also the predominant species isolated from samples of cancer patients who had hospital infections in Asia.13 Some reports suggest the predisposition of C. amycolatum to adhering to catheters inserted into patients with cancer.14,15 It has been shown that paediatric oncologic patients have a predisposition to C. jeikeium infection.6 In previous studies, C. jeikeium was mainly isolated from neutropenic patients with haematological disorders.4,6. In the present study, C. jeikeium was isolated from only two neutropenic patients. Similar to other studies, both patients were treated with vancomycin, but the catheter was not removed in only one case. Invasive C. urealyticum infections are unusual and this species is mostly associated with urinary tract infections.16. Our study was the first to report the isolation of C. urealyticum from a venous catheter in children with a non-urinary infection. The limitations of this study include its retrospective design and a single institution data. In conclusion, CVC infections in paediatric oncology patients may be caused by Corynebacterium amycolatum and other non-diphtherial corynebacteria. The implementation of new strategies to control catheter infection and the routine practice of the CBRSI protocol are difficult but extremely important. The data collected in our study also highlight the need for an accurate identification of corynebacteria species, as well as antimicrobial susceptibility testing. Vancomycin is still considered the first choice to control infections caused by most Gram-positive organisms. This work was supported from the National Post-Doctoral Program – PNPD (CAPES/MEC). E. Velasco, R. Byington, C.S. Martins, et al. Bloodstream infection surveillance in a cancer center: a prospective look at clinical microbiology aspects. A.L. Mattos-Guaraldi, L.C. Formiga, T.C. Camello, et al. Corynebacterium diphtheriae threats in cancer patients. E.E. Adderson, J.W. Boudreaux, R.T. Hayden. Infections caused by coryneform bacteria in pediatric oncology patients. C. Martins, L. Faria, M. Souza, T. Carmello, E. Velasco, et al. Microbiological and host features associated with corynebacteriosis in cancer patients: a five year study. K.G. Miedema, R.H. Winter, R.A. Ammann, et al. Bacteria causing bacteremia in pediatric cancer patients presenting with febrile neutropenia–species distribution and susceptibility patterns. E.C. Dinleyici, Z.A. Yargic, O. Bor, et al. Tigecycline treatment of multi-drug-resistant Corynebacterium jeikeium infection in a child with relapsing and refractory acute lymphoblastic leukemia. M.M. Handrup, J.K. Moller, C. Rutkjaer, et al. Importance of blood cultures from peripheral veins in pediatric patients with cancer and a central venous line. N.P. O’Grady, M. Alexander, L.A. Burns, et al. Healthcare Infection Control Practices Advisory Committee (HICPAC) (Appendix 1). Summary of recommendations: Guidelines for the Prevention of Intravascular Catheter-Related Infections. D.G. Maki, C.E. Weise, H.W. Sarafin. A semiquantitative culture method for identifying intravenous catheter related infection. J. Versalovic, K.C. Carroll, G. Funke, et al. Performance for standards for antimicrobial susceptibility testing: twenty-third informational supplement. CLSI document M100-S-23. L. de Miguel, E. Rodriguez, A.M. Martín. Corynebacterium amycolatum: sepsis in hematologic patients. M. Rizvi, M.W. Rizvi, Shaheen, et al. Emergence of coryneform bacteria as pathogens in nosocomial surgical site infections in a tertiary care hospital of North India. Nosocomial endocarditis caused by Corynebacterium amycolatum and other non-diphtheriae corynebacteria. A. Dalal, C. Urban, S. Segal-Maurer. Endocarditis due to Corynebacterium amycolatum. F. Soriano, C. Ponte, P. Ruiz, et al. Non-urinary tract infections caused by multiply antibiotic-resistant Corynebacterium urealyticum. Isolation of coryneform bacteria from blood cultures of patients at a University Hospital in Saudi Arabia. M.L. Rinke, A.M. Milstone, A.R. Chen, et al. Ambulatory pediatric oncology CLBSIs: epidemioloy and risk factors. S. Ghide, Y. Jiang, R. Hachem, et al. Catheter related Corynebacterium bacterium bacteremia: should the catheter be removed and vancomycin administered?. M. Yanai, M. Ogasawasa, Y. Hayashi, et al. Retrospective evolution of the clinical characteristics associated with Corynebacterium species bacteremia.